Welcome to 2017! A new year is upon us and this January, even more than previous ones, as we forge ahead into a new beginning, I feel compelled to reflect on the past year and take stock of its lessons. 2016 was a year of shake ups for so many people. It brought changes, surprises, separations, endings, new beginnings. All of this transition has me thinking about the world we are creating and the interplay between independence and interdependence; how we belong to ourselves, but also to each other. We live in a society that values hyper-independence. We idealize rugged individualism, self-reliance, going it alone. A certain level of independence is important. It allows us to be autonomous, sovereign, and confident to make things happen in the world. However, without balance we risk forgetting our interdependence, the unique way we are all connected, our lives bound up with one another. In South Africa they have a beautiful word for this idea: Ubuntu. I am, because we are. Relationship and connection are vital to our well-being. One of my favorites, author and researcher Brene Brown explains that the need for love and belonging is our most essential drive as human beings. 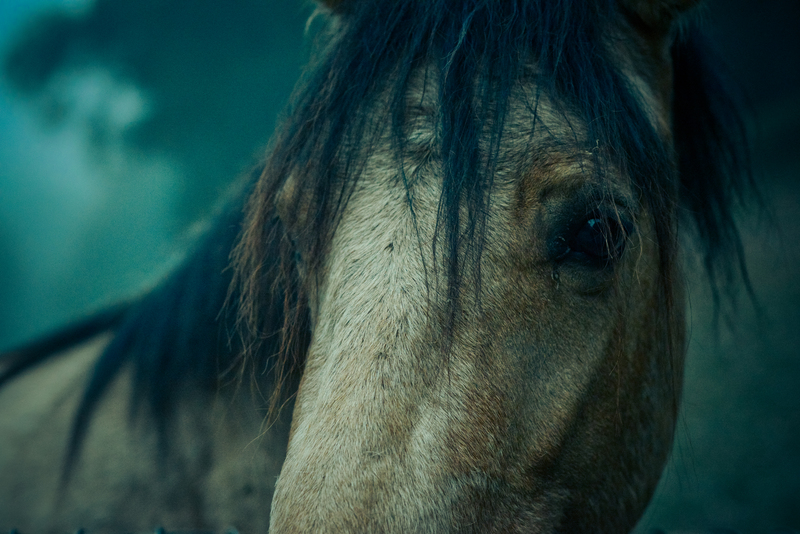 Just like horses, we do not do well with physical, emotional, or psychological isolation. Each of us is made more whole through our connection to others. Paradoxically, research shows that the most compassionate people are those who know how to set strong boundaries. Being in touch with our own needs and desires gives us the safety and security to show up for others, to give and receive from a place of love. In such an individualistic society, interdependence is not always an easy lesson to learn. I remember myself only a few years ago, running around in a flurry of activity. 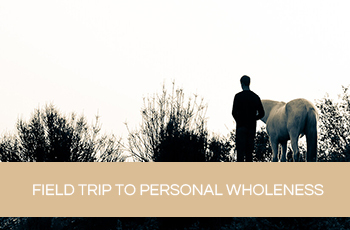 I was coaching, running workshops, building my business, continuing to learn from horses, traveling the world. I loved everything I was doing but was working my tail off all by myself with long hours and very little rest. Then, very abruptly, I got sick. I couldn’t do basic things like drive a car or walk across a room. I couldn’t audibly hear in order to coach my clients and teach. Within a few days, my whole world shut down. I went to the doctor and was diagnosed with Meniere’s disease, a chronic condition of the inner ear that causes vertigo and hearing loss. The doctors told me that there aren’t any remedies and this was just the way life would be from now on. I was devastated, not only for myself but also for everything I was building. It felt a huge sense of loss. I couldn’t see any way forward. And then, incredibly, people started stepping forward to help. 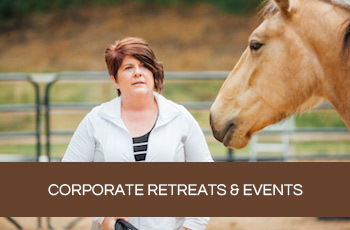 Fellow Equus Coaches I had worked with stepped forward to cover my coaching calls, run workshops and help me manage my business. Friends stepped forward to care for me as I got some much needed rest. Slowly, I began to see that rather than dismantling everything in my life, the world was actually building it up, stronger, in a way I never could have done on my own. Falling apart requires us to let go of control, trust in life and be willing to take a huge leap of faith. This unwelcomed unraveling allowed me to be put together in a new way, with the love and support of my community. As my body began to heal, I began to see life in new ways. I saw how having multiple facilitators in a workshop makes for a richer experience for participants because they get to learn from a diversity of perspectives and insights. I saw how setting personal boundaries for myself, like taking time to rest, allowed me to care for myself and enjoy life more fully with a sense of ease and grace. Most strikingly, I saw that life is a beautiful web of relationships and each of us is a thread that adds strength to the whole. We truly need one another to fully grow and thrive. As I look around at the world right now, I see it asking us to take a giant leap of faith and embrace the unknown. I see it asking us to restore that precious balance between independence and interdependence while remembering that the relationship between these two elements is our road to wholeness. I see it asking us to set personal boundaries to care for ourselves so we can show up for others with love and compassion. I see it asking us to follow the voice of love inside ourselves rather than the voice of fear. As I think about the future, there are many things I don’t know. I don’t know where we are going or what the path looks like, but I do know that we are there together, shining. I know that each of us is illuminated and illuminating, the sun rising in the morning sky and the dark earth on which it shines. All cycles are of equal importance. I know so deeply in my heart that a new world is emerging, not from any one of us, but from all of us together. Let’s continue to step forward, for ourselves and for each other. Let’s continue to create something that reflects the love we know is possible, that we bring first to ourselves and then out to everyone else.